Grant Thornton Australia has brought in a seasoned lawyer in Sydney to lead on Australian state taxes and support a growing national team of indirect tax specialists. Steven Paterson has been appointed as partner adding to the firm more than 18 years’ experience advising clients on state taxes, particularly stamp duty, land tax, and foreign surcharges. He made the move from EY, where he was an associate partner. Previously, he was a senior associate at Ashurst. 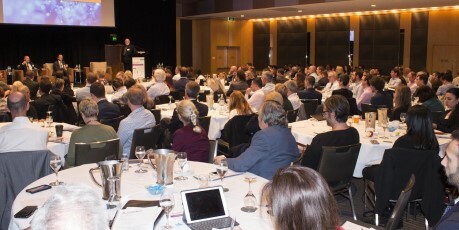 “As tax regulators at the State Revenue Offices are collaborating to ensure tax is applied in the right place and at the right time, it essential that businesses are on top of state tax legislation and obligations across Australia. Duties and surcharges are real costs to doing business,” he said. Paterson also has extensive experience on unique and complex business and transaction structuring. He is also experienced in strategic restructuring and has recently advises on a number of renewable energy projects. “Steve’s expertise in navigating the increasingly complex web of tax legislation at the state and national level will be invaluable to our clients – many of whom are scaling up and engaging in transactions across Australian and international networks,” said Nicole Bradley, Grant Thornton Australia’s national leader for tax.